Summer is in full swing! It’s the time for family road trips, pool parties, backyard BBQs…and listening to your favorite summer songs! 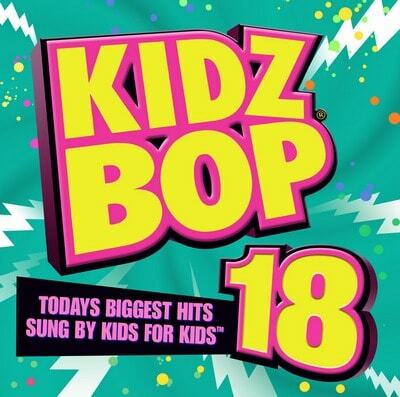 As you plan your summer family story ideas, you should definitely check out KIDZ BOP 18, the latest release in the best-selling kids’ music series, as the perfect summer soundtrack for kids. It’d be a great addition to any kids’ music features and roundups, or tips for providing fun ways to get kids up off the couch and moving this summer. Feel free to contact me for review and/or giveaway requests. The CD will be released July 20th. Three (3) lucky Lady and the Blog readers will receive a copy of the CD. Leave a comment on the Lady and the Blog fan wall saying who you would give this prize to.